In Ghana, fossil fuels represent a real boon for the state, in terms of income and foreign exchange. But just after the sales of hydrocarbons, comes that of cocoa beans, and other cash crops. However, oil extraction contributes to climate disruption, while the development of agriculture can mitigate it, provided you follow the principles of agroecology. Organic farming can be a first step. During a mission to Ghana for the United Nations Industrial Development Organization (UNIDO) in September 2016, we saw unbridled urbanization in the metropolis of Accra, the capital. According to our interlocutors, specialists in agricultural development, arable land around Accra is disappearing, devoured by real estate development projects. They showed us zones, already distant from the center, where the fields disappear under urban development. On the agricultural side, Ghana has focused its economic growth on the intensive use of chemical fertilizers and pesticides. With the development of irrigation, this trio is characteristic of the “green revolution” launched by agronomic research centers in the 1960s. It has succeeded in pulling the people of some developing countries out of hunger. But this success was short-lived, since this method of production, though it diminishes the work of agriculture and increases productivity in the first years or even decades, reduces the fertility of the soils themselves. Improved seeds, by their homogeneity, are often the prey of devastating diseases, as has been seen in areas of intensive maize, banana or pineapple production. Cocoa is the fruit from a tree in the Amazon bassin and Central America, developing naturally under canopy cover. Countries that respect the original vegetation and forest cover produce the most popular cocoa trees in the world: Peru, Venezuela, Madagascar, etc. Export-oriented “development” policies have led West Africa to develop cocoa on large extensions, making Côte d’Ivoire and Ghana the first and second largest producers and exporters in the world for this product. Because cocoa, which we appreciate almost every day in Europe, making the trade and production of chocolate almost an art, is a product almost only intended for export for this region of the world. Unfortunately, the production techniques employed undermine the future of cocoa in West Africa. Producers realized that the most fertile lands were under the forest cover of the primary or secondary forest. When this cover is cut down, the soil restores its fertility, and the first harvests (5 years after the planting of seedlings) are very good. But the ecosystem, deprived of its cover of trees, then quickly becomes the bearer of diseases for cocoa. In addition, chemical fertilizers quickly become necessary. In Ghana, pesticide spraying campaigns organized by the government have become mandatory. Even though imported fertilizers are subsidized, they represent a significant cost to agriculture. This is how a whole sector finds itself in an expensive “systemic trap”, undermining its ability to rebound. The long-term effects of deforestation in the cocoa zones are now visible to researchers, accentuating locally the effects of climate change. They anticipate the effects of this deregulation by 2050, with a marked decline in areas suitable for cocoa cultivation. Other sectors suffer from a lack of understanding of the links between the preservation of ecosystems and the resilience and productivity of food and cash crops. Thus, the cultivation of pineapples requires a rotation every two harvests, and measures related to monoculture: weeding (often mechanical), uprooting after the second harvest, prevention of diseases, etc. For lack of understanding of ecological processes, pineapple fields are covered with expensive plastic mulch preventing weed growth. Instead of combining crops, farmers try to prevent natural processes … In other words, the profitability of this crop is not assured for small producers. The production of mango, due to its tree, suffers a little less from these drifts. But we shall see that it is astonishing that a natural pesticide which can be produced locally in large quantities is no more common, and that the recommended response against the mango fly is in terms of chemicals. We met a few dozen kilometers away from Accra several pioneers of organic farming. With trust in the natural processes and farmer knowledge, with a sense of consumer need, they have embarked in the organic production of vegetables, mango or fish farming. Near Accra, the brother of a local king, with a rather urban profession, makes the two hectares of family land thrive in organic farming. He started a few years ago a production of catfish in the pond dug on one of the edges of the ground. This activity has been so effective that it allows the family to earn an additional annual income without much effort. As for organic vegetables, their sale is based on the demand of urban consumers for healthy products and on the principle of trust, as they are not certified. Every weekend, the producer goes on a tour to deliver his production. There is certainly a system to be invented to bring together this type of producers (they are several around the capital) and consumers, taking inspiration from community-supported agriculture systems. Closer to the dam on the Volta there is no shortage of water. Tackie, a former employee of Air Liquide Ghana, bought in the 1970s about 500 hectares of land, which he devoted largely to the production of mangoes, and on 10 hectares to that of aromatic plants. Thai basil grows alongside rocket, thyme and tomato plants, among others. How does he prevent insects? The recipe is simple: organic fertilization, diversification, and application of neem extract (Azadirachta indica), a tree with repulsive properties for insects, which has invaded West Africa. The combination of mango and aromatic plants makes it possible to reduce the risks whatever the rainfall of the current year. The production of organic cocoa appears to be a real challenge in a regional context where monoculture and pesticides are kings. Ten years ago, no one gave credit to young Ghanaian Yayra Glover when he registered the first organic cocoa buying company in the country. In Ghana, the cocoa sector is closely supervised by the State. The purchase of the bean is made by national companies, the Licensed Buying Companies (LBCs) duly registered. The Cocoa Office, COCOBOD, provides technical assistance and services, but only in the sense of conventional chemical agriculture. Free sprinkling of trees with chemical pesticides is prominent. In 2016, with 500 tonnes exported, Y. Glover Limited is one of the smallest of the thirty LBCs still in operation. But it has been able to develop a model of extension and recollection among 4,500 producers, which could very well spread in the country. 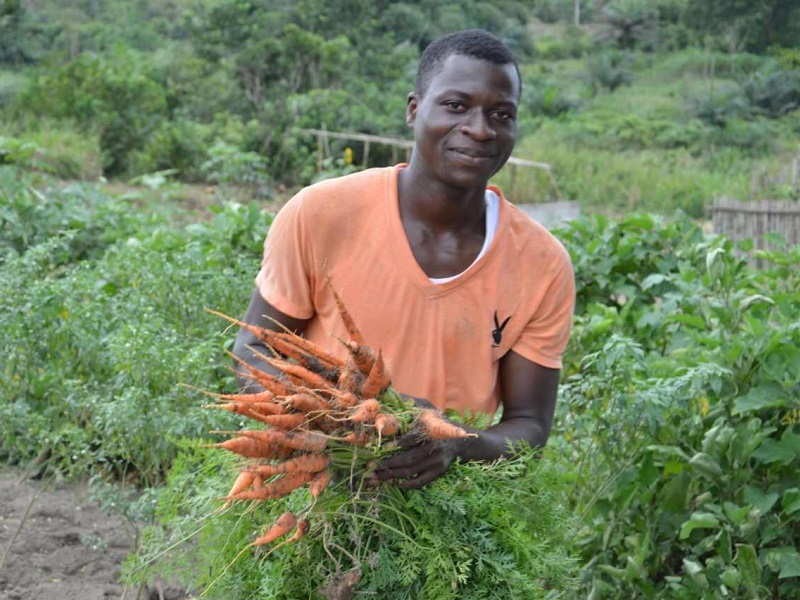 Driven by a demand not always perceptible by the producer but constant, organic farming is developing in Ghana, against the stream of policies carried out over the last decades. Each producer or company must therefore find its own solutions to produce without chemical inputs. One approach, sometimes limited in scope, is to mimmick the inputs – disease control – production chain to organic farming, by seeking to substitute the chemical inputs usually used by biological inputs. <span title=”Se pose alors la question de la disponibilité de ces derniers. “>The question then arises of the availability of the latter. In Accra, an enormous industrial plant collects and recycles 600 tonnes of waste per day, brought back by an impressive fleet of trucks. But the resulting product, even if approved, would be of poor quality for organic farming, as the sorting of household and market waste is not done at the source. Professor Ofosu-Budu Kwabena, researcher in Ghana of the Institute of Agricultural Research of the Commission for Atomic Energy of Ghana (BNARI-GAEC), carries out research on the larva of the black ant (Hermetia illucens ) to decompose the waste more quickly. The first results are positive. This larva is also an excellent feed for farmed fish. By following the same approach, leaves and fruit can be extracted from neem, a tree from India. The extract effectively repels insects that are harmful to the fruits, preventing the use of chemical insecticides. But this approach that follows conventional farming to replace its processes has its limits, as shown by the production of pineapples, for instance. The European consumer ignores it, but the production of pineapples is very demanding from the point of view of soil and labor. In Ghana, large plantations cover the soil of “plastic mulch” to prevent the spread of weeds, even when they are in organic farming. But the very notion of “plastic mulch” seemed aberrant to us: true mulch, organic, does not only protect the soil and prevent the growth of weeds, it feeds it gradually by decomposing. Plastic is, on the contrary, a polluting agent, which does not decompose or feed the soil. It therefore plays only one of the multiple functions of organic mulch. A more intelligent approach should include the association and rotation of complementary crops on pineapple fields. 4. 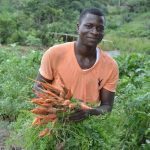 What future for organic agriculture in Ghana? At the international level, organic farming represents a $ 70 billion market. The field for organic production in Ghana is wide and open. The country has a tradition of producing and exporting agricultural products on which it can rely, while evolving towards methods that are more respectful of natural processes, and seeking to be more oriented towards local consumption. <span title=”Les consommateurs commencent à prendre conscience des méfaits de l’agriculture conventionnelle pour leur santé, et les producteurs à percevoir que la production biologique n’est pas si compliquée, tout en leur offrant des perspectives intéressantes. “>Consumers are beginning to become aware of the harms of conventional agriculture for their health, and growers perceive that organic production is not so complicated, while offering them interesting prospects. As illustrated by the example of pineapple production, the export of fruit and vegetables is a fragile sector, under pressure, due to high production and processing costs (refrigeration in particular). But fruit trees such as mango or papaya can very well be grown without chemistry, through appropriate methods. This gives them a certain added value, and makes it possible to distinguish them on the international market. Yet the Ghanaian state provides little support for organic farming, favoring productivity at all costs. The “organic desk”, located within the Ministry of Agriculture, has no resources nor a team of its own. It simply coordinates a handful of activity, primarily outreach. Organic cocoa is an example of this lack of support from the Ghanaian state to a promising sector. While in previous years the services of COCOBOD, the cocoa office, had covered the costs of organic fertilizers and pesticides provided to organic producers which are providers of the company Yayra Glover, since 2015 this is no longer the case. The director of the plant protection department says that COCOBOD can not have two strategies: one to disseminate conventional cocoa cultivation techniques, with a lot of pesticide campaigns, and the other to support organic production. 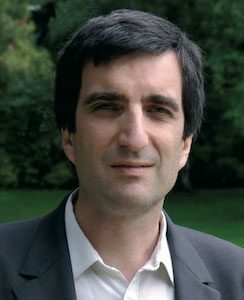 <span title=”Le choix est donc fait de délaisser le secteur biologique, et de laisser les entreprises intéressées assumer tous les coûts spécifiques de la production biologique, malgré la valeur ajoutée indéniable de cette production. “>The choice is therefore made to move away from the organic sector and to let the companies interested bear all the specific costs of organic production, despite the undeniable added value of this production. In Ghana, consumer-citizens are increasingly aware of the limits and dangers of conventional agriculture and its related chemical inputs. International institutions are gradually shifting their support programs in this direction. The Ghanaian pioneers of organic agriculture are confident in the future of their model and are gradually winning over the majority.